Announcement Welcome to TheNeatNeedleShop, formerly KasiaJ! If you're a return customer, don't worry, the only thing that has changed is the name. I still plan on offering the same hoops I've always made, and this year will hopefully be adding a new pattern and/or a new ready made hoop design every month. 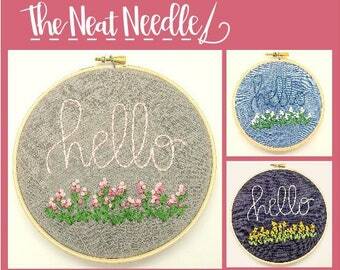 Welcome to TheNeatNeedleShop, formerly KasiaJ! If you're a return customer, don't worry, the only thing that has changed is the name. I still plan on offering the same hoops I've always made, and this year will hopefully be adding a new pattern and/or a new ready made hoop design every month. Now offering 10 inch baby name hoops in the shop! New shop offering- custom family name hoops! Just listed the pattern for these darling Christmas critters! Custom embroidery, embroidered felt, and patterns for the people who want to do it themselves. I love embroidering custom hoops for my customers. I love collaborating and taking input from you to create something that's perfect for you and completely original. All of my available designs are always completely customizable, too. For you DIYers and crafters out there, I also offer downloadable and printed pattern listings in my shop so you can do it yourself. I'm always working on new patterns to add. I love being creative and especially love embroidery as an outlet. I find all the colors and textures of different fabrics and threads delightful- browsing at fabric or craft stores can never get boring for me. I love making all sorts of things and love helping other people make things, too- hence the patterns. Welcome to my store, please check back often as I am always bringing in new ideas! If you are unsatisfied in any way with your purchase, please let me know. I am happy to work with you to resolve any issue you have; I only want to sell the best in my shop and want you to be happy with your item. Refunds are not available for digital downloads, but I am happy to resend the digital material if for some reason your download didn't work. I accept PayPal, credit and debit cards, and Etsy gift cards. Items ship/are available for download after payment has been received. Physical items are shipped via USPS. You will receive a shipping notification and tracking number when your item has shipped. Downloads are available immediately, and other items will usually ship in less than 7 days after payment. If you need something by a specific date, be sure to let me know in a convo or note to seller- I'll do everything I can to make sure the item will get to you on time. Custom and made to order items can take more time, but will ship promptly upon completion. If you have ordered a custom item and have a question about how long it will take, please convo me. Expedited shipping may be available, convo me if you want to rush an order. The customer is responsible for any import or customs tax applicable to their purchase. I am happy to take wholesale orders for my patterns at this time. 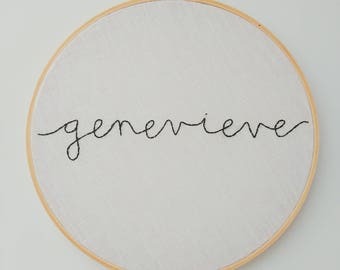 I love to make custom embroideries and would love to collaborate with you on your idea. For custom orders, I begin work as soon as the custom listing has been purchased. Because these items are handmade, there is always the possibility of variations and imperfections in my work and the materials. I don't typically send printed invoices with items that ship, but am happy to send one along if you request in the "message to seller" section.